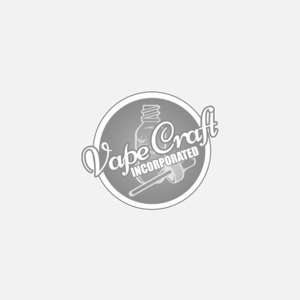 Get an e-Juice Sponsorship from Vape Craft inc.
We here at Vape Craft Inc – Home of the original $15 120mL’s – are launching a Sponsorship program! Our mission is to continue providing reasonably priced ejuice and offer our customers more, like mods, tanks, batteries, chargers, DIY supplies, wire, coils, and much much more. Our sponsorship program is designed to boost our brand while rewarding you for YOUR hard work. When we are looking to endorse/sponsor an individual, we have a standard that must be met and maintained to ensure that we are viewed as an authority in the vaping industry that’s doing their best to give their customers not only what they need, but what they ask for. Requirement #1: Gotta love vaping and vaping accessories. You must show a real effort to advocate for vaping and the industry. We like people who keep up with the industry and show a true passion for vaping. It is expected that at least one of the platforms listed below have the minimum requirements met to be considered for sponsorship. Those who clearly exceed the requirements for at least one of these, will have a higher chance at becoming sponsored. Twitch or similar site: 10000 Followers (ignore the outdated banner above) Anyone below 10k will not even get a response from us. Blog/website owners: At Least 150 views per day & a link to our homepage on your blog/site is the minimum. If there is a platform that is not listed, send us your statistics and we’ll consider the platform. Share your discount code (5% Off Site Wide) with each post that is made on your behalf for the Vape Craft ejuice brand. Juice replenishment - Once a month Vape Craft will send out ejuice (in an amount previously discussed) for personal use and for content. Those that are sponsored by Vape Craft Inc will be the first to get new flavors, bottles, accessories, apparel, and other cool merch! (High Valued Sponsors) A custom affiliate URL that you can use to make commission from your promotions. Specialized coupon codes and discounts (other than your standard 5% off) that you can share with your following so they can save on Vape Craft Inc ejuice. Please allow at least 72 hours (3 Business Days) from the day you submit your application to hear from us. You will receive an email with our decision. If you are denied, you will be given a reason why and may reapply in 60 days from the denial date for reconsideration. Any duplicate applications will be flagged and marked as denied. Age verification will be during the application process so no underage applicants please! Contact marketing@vapecraftinc.com to submit your application.